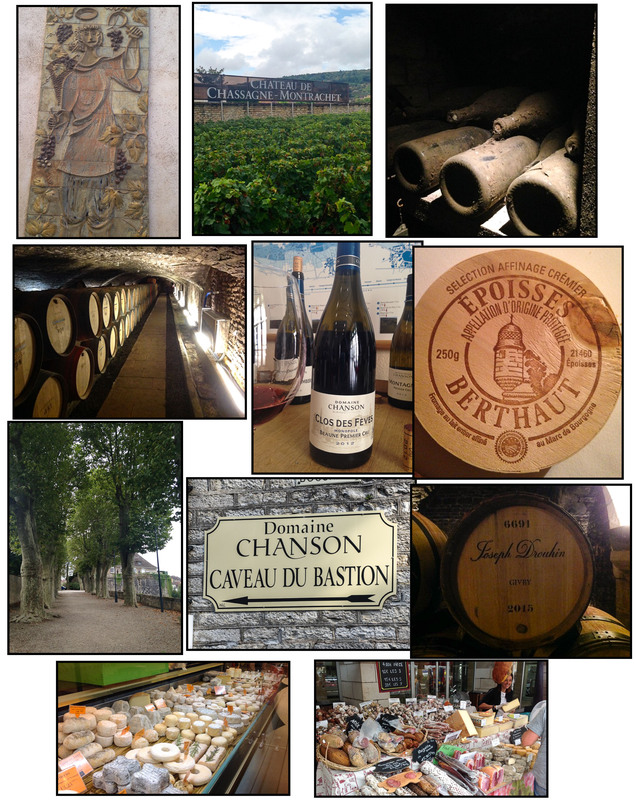 A recent trip to Beaune France, the heart of Burgundy brought back into focus what I long for in my everyday life. Simple meaningful rhythms of living. Beaune is a small quiet village, easy to stroll the streets and uncover many gems. It is the wine center of Burgundy with Côte de Nuits to the north and the Côte de Beaune to the south, the wine culture is the pulse of Beaune. While I was touring the vineyards, tasting the wine and food, it all left me eager to learn and discover more about this extraordinary region. Surrounded by history, culture, hills of vineyards, the best cheese and food I could remember tasting, I was refocused on food and wine with a sense of place and quality. Burgundy is a region made up of small historical plots of vineyard climats and simple food grown by small local farmers. We had the best of wine educators and guides while in Beaune, Youri Lebault of Bourgogne Gold Tour. 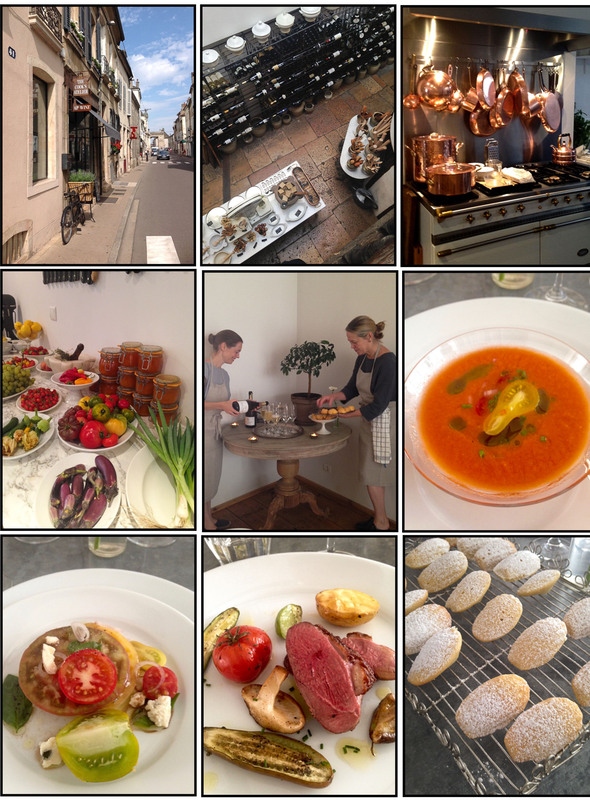 And we participated in a day of cooking at The Cooks’ Atelier. The Cook’s Atelier is a cooking school, culinary boutique, and wine shop owned by a mother daughter team, Marjorie Taylor and Kendall Smith Franchini from the United States. Their love of French culture, food, wine and a life of simplicity continues to linger in my head and pull at my heart and soul. That day of cooking at the Cook’s Atelier started with a shopping tour of the farmers market collecting provisions for our lunch we would prepare back at the school. Since this inspiring trip, I have made the simple butter cake multiple times with varying seasonal fruit. I first made it with persimmons, then pears and most recently with cranberries and pears, for a holiday festive feel. 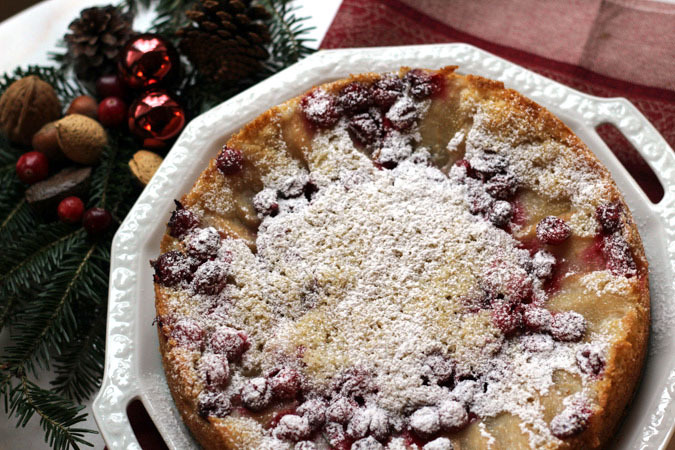 Enjoy a simple butter cake with your choice of seasonal fruit amid the hustle and bustle of the holidays. 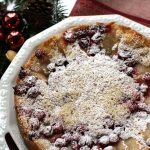 A simple butter cake to make with varying seasonal fruit. A nice dessert but also a breakfast treat. Preheat oven to 350 degrees F. Butter a 9 inch spring form pan. Make the simple syrup by combining 1/2 cup sugar and 1/2 cup water in a small sauce pan. Warm on medium heat until the sugar is dissolved. Remove from heat and add 1star of anise and cinnamon stick. Set aside to cool. Once simple syrup is cool add pear slices and cranberries to marinate. In a large bowl of an electric mixer beat the butter and sugar together until creamy. Add the egg, and vanilla extract, beat to combine. Add a third of the flour, followed by a third of the milk alternating and mixing between additions until all flour and milk are well mixed into batter. Drain pears and cranberries from simple syrup, gently pat the fruit dry. Pour the cake batter into the spring form pan and arrange pear slices in a fan around the cake pan. Sprinkle cranberries randomly over the top. Sprinkle the cake with1 tablespoon of sugar. Bake for 10 minutes and then turn oven down to 325 degrees F and bake for 40 minutes or until cake tester comes out clean. Serve warm with whipping cream. I’ve seen the Cook’s Atelier in our previous visits to Burgundy. We’ve never had the time to do a day cooking with them, but what a treat that would be. Thanks for sharing!